Hi and welcome to my SA-MP/GTA:SA troubleshooting kit! There's plenty of the same questions coming up and up, so I thought to put all of the possible fixes in one thread. And this one is more SA:MP related, there's already a forums guide and in-game guides etc, but a SA:MP toolkit wasn't to be found, more then in some posts and so on, so I'm offering my own SA:MP knowledge here and I hope I can get more contributions as well, of other alternative solutions. How to find your issue/problem? Press CTRL+F (= Find option at most web-browsers) and type in parts of your problem. I cannot see full pictures! Links To all Guides and Answers to some Questions. Join irc.tl network and join channel #cnr or #help, #operhelp or #irchelp for IRC related help. Ask at general section or use google. In your post, it'd be good to have detailed information about your problem, so you can get the best help as possible and not just trying every single 'useless for you' method. 1. Identify your problem, put a good title on it, which describes your issue fast. 2. What kind of OS are you using and don't put more info then that, we'll ask if you need to know your graphic card or so. Do NOT give IPs out, not needed information for us who aren't part of the staff. 3. When does your problem occur exactly and has it happened before or did it started recently due to a re-installation or so? 4. Post crash-codes if it's possible or a screenshot of your issue. 5. Post preferable what you have done, so you don't get not needed suggestions. 6. And game settings, would be great if you posted too, depends on what's your issue is, but it can be of an assistance. - I'm not discussing them nor downloads, since it's against forum's rules, please check them out nor anything else which is against the /rules, remember that you are not allowed to exploit/abuse bugs/glitches. These kind of issues, when you're logged in and all and suddenly getting timeouts and reconnecting or you're getting: 'you are banned from this server' messages at this way, not before you log-in, after you've logged in, is usually about huge ping, bad connection, lag at the host's server or just your antivirus blocking gta_sa.exe or SAMP.exe. 1) Allow GTA_SA.exe and SAMP.exe in your firewall settings at your antivirus program settings. 2) Or just wait it out and reconnect, it can be about a lag or timeouts at the host's server, so the host's fault. 3) Also it can be about your own internet, going offline, make sure it's working properly. 4) If you use a router / wifi, you better switch to cable connection instead, a wifi can easily go offline from time to time. 5) Or if you don't want to use a cable, try to reset your router and all, there's tutorials at YT/Google about how you do that. Sometimes it might use a too crowded frequency, if it's older one, the new ones often goes automatically to right ones. 6) Uninstall your SAMP and GTA:SA and remove ALL files, do a clean install. 7) Try removing the gta_sa.set file from Documents > GTA user files and uninstall all mods, clean with IMG tool/Mod installer. Possible some files are corrupt, most likely audio files. * Remove all files, delete all folder and do a clean re-install of GTA:SA and SA:MP. * Update your graphic card driver, or perhaps rollback. - Try /aoff and see if it's getting any better. - Sometimes your recording software might cause the crashes as well, deactivate it and test again. Take your time and read: Banned? Can't Connect? READ THIS FIRST. 1) Check if your screenshot folder is full. (User > Documents > GTA San Andreas User files > SAMP > Screens) and if you got a full folder, delete them or save the pictures on your storage drive or where ever, so you're emptying up some space, remember to CUT the pictures and PASTE them into new folder. 2) Try deleting the screens folder at GTA San Andreas User files and see if it works. 3) Try to give permission rights like this: Right-Click on the Screens folder > Properties > Security Tab > Edit button (Advanced if you want to change ownership etc) > Select user/group > And only mark/check 'Full control' at the 'allow' column > Click on OK button. 4) Go to Documents > GTA San Andreas User Files > Right-click on the folder > Properties > Mark/check 'read-only' at 'attributes' > Ok.
5) Make sure you got administrator rights on every folder and program starting relating to GTA:SA. 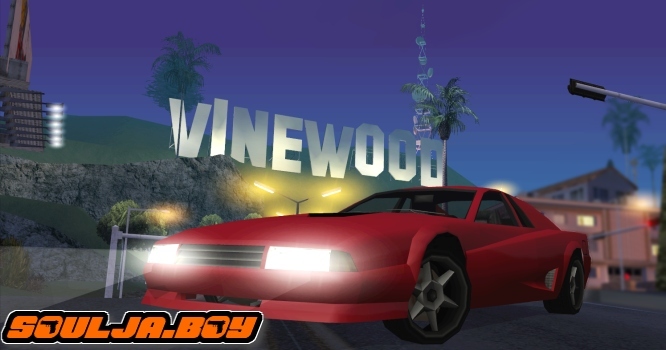 Put it on GTA_SA.exe file as well on SA:MP too, do like this: Right click on the folder you want to change it on > Properties > Compatibility > Run as an administrator > Ok.
6) Lower/higher your resolution in-game or put the same as you got in-game as on your desktop, while not playing. 7) Re-install your GTA:SA and SA:MP, delete folders from control panel and perhaps use another program to clean other registry. 1) Use Windows key and Print Screen key on your keyboard (On some use FN key + Win key + Prnt Scrn) and the screenies are saving to your screenshots folder at your library/my documents. 2) Use an external Print Screen widget software, there's them out there, I'm using on myself, it auto-hides and all, takes fast screenies etc. 3) Use your camera shooting ability from your recording device. Could be that some object aren't really loading as it should, for instance vehicle components failure, when you're adding mods from TF etc it can results in a crash, there's some certain ways in SAMP to get Opcode failures, if you know the bugs, that's common. But it could be a lot though. B) - If you've detailed radar mod or some not allowed mod, take them away with IMG tools/Mod installer, remove completely. C) - Oversee your game settings, perhaps put on low and lower draw and try other resolution. D) - Checked your connection? Bad? Huge lag? - Contact your internet provider. E) - Don't have any unneeded program running, whom might cause the crash as well. Check at Task-manager. F) - Check if your antivirus detector program is running scans and in way causes the crashes or perhaps you're getting other notifications, if for example your OS isn't activated, or perhaps updates are running in the back etc. G) - Update also the GPU drivers from its developer, if something missing. (Test if you can play other games.) + While you're at it, check Graphic Card settings. H) - Have a pure copy of GTA:SA, CD is the best and if you reinstall, remember to take all directories away and files, everyone. I) - Perhaps there's issues with the server host and that causes lag/crashes. Your single players works all fine, but not your mod (SA:MP) and it crashes right after the first downloading bar in the SA:MP window has loaded, you'll also receive a crash report from SA:MP due to this. 1. Start SA-MP.exe and other programs, related to it, as an "Administrator", important one, in order to execute this, right click on the icon of the programs and Properties > Compatibility > Run as administrator. 2. Remember to watch the compatibility for all related programs, if you're using Win 7(32-64) or later version. Right click on sa-mp.exe for instance and choose Properties > Compatibility > Run this program in compatibility mode for: Win XP SP3/SP2 for example or use the troubleshooting, works sometimes, but do it manually. 3. Re-name your program folder: Go to C > Program Files (x86) > Rockstar Games > GTA San Andreas = And re-name it to, 'GTA2' or whatever, you can't change the name of the folder if you have things open from the folder, if that's the case, you'll get a notice that you can't change, either go to task manager and close it or just restart your PC. After that, you have to go to SA-MP.exe (San Andreas Multiplayer's launching window, multiplayer) and right click on the SA-MP icon and then choose: "Properties" and "Shortcut" after that you just change two things there: 1. Target and 2. Start in, important to remember, if it's all fine and right location, leave it. And now when you open SA-MP and tries to connect to a server, it will say it 'can't locate your directory' and a menu will come up asking you to select the directory. Select the 'GTA2' (your named folder) folder, the one, you re-named and press OK and start gaming. 4. Allow SA:MP on your virus protection's firewall and other related programs. In order to delete gta_sa.set file, just go to GTA San Andreas User Files in Documents (same map where screenies are) and open the folder and you'll see it. 6. Remove all mods with IMG tools / mods installer. 7. Perhaps you got plenty of tasks open and it won't launch, can happen. 8. Check your internet connection. Probably a damage file in the registry or damaged CD or so. Re-installing will help many times or by giving administrator rights. If this don't work, neither will SA:MP. 1. Update also the GPU/Graphic card drivers from its developer, (Test if you can play other games.) and have DirectX 9 at least installed, or else it won't work. 2. Try starting gta:sa as an "Administrator", right click on the icon of the program and Properties > Compatibility > Run as administrator. 3. Check your CD for errors or errors in the registry, when installed and re-install or attach missed files. 4. Or re-install it all over again, remove all files with ccleaner or so. 6. Restart your computer after installation, might help. 7. Check your virus protection's firewall settings, allow GTA:SA. Most likely a CD error or something wrong with the installation itself, something thing. A CRC error, it can be about a corrupt file somewhere or perhaps something wrong with your cable, usually works at other computer, or if you format your PC. Shortly, either your DVD go scratches if you're installing from it or if you're installing from an ISO file virtually, it can easily be something with the emulation program or just the ISO file itself, could have damages or so. Also you can test your DVD drive and RAM with various softwares out there. And if you know what the bad file is, then copy it from your buddy or so into the folder, but try to get a better version of the ISO file, if you're installing with an emulator virtually and not from a DVD. B) Test your DVD drive and RAM, with some software, checking if everything is alright, or test manually. C) If you miss a file, copy that file from your buddy and paste it in into your folder. D) If CD got scratches, well buy a new one or play via Steam your GTA:SA. E) Test another connector, or data cable, could be that it's broken. F) Clean the lens and your CD. G) Test a new drive. Only allowed mod in CB:CnR. If you're stuck with the installation or so, check below. Note: Remember to download "Microsoft Framework 1.1", or else SA-MI don't work. Method using Crazy IMG - I recommend this method, works like a charm. Method using SA-MI + IMGTool: - This way gives radar map sometimes wrong images. Method using Asi loader and Modloader: - Haven't tested it. Anyways as for installation it's pretty simple, download the mod, download an Asi loader and Modloader To install the asi loader you simply need to replace the vorbisfile.dll and vorbishooked.dll files in the gta sa folder with the ones provided in the mod, place modloader and modloader.asi in the main gta sa folder (where gta_sa.exe and sa:mp are located). Make a folder of any name inside the "modloader" folder and just place fronten2.txd and all the "radars" files in it. Btw the modloader and all the info about it may scare you but it's the best way to survive all the crap of replacing files in gta3.img and loading txd files so you better go with it. Sometimes your ping, check at SA:MP window or press TAB key in-game, to see your ping, it's good to know how it is normally, in order to know if you're lagging or not. You can recognize lag by seeing '0' ping at the players list in-game and also if text menus and other commands comes very late or players get a pause label (enable nametagstatus). 1) Check forums/IRC if there's some ddos-attack or perhaps something else with the host of the servers. 2) See with your internet host, if there's some issues with your own network. 3) Wait until it resolves. Sometimes your FPS-drops, completely normal, but sometimes it can be reduced. It may be caused by lag, perhaps bad drivers for your graphic card or caused during too many objects around you in-game, or if you're near a fire etc, then your FPS can drop a little. 1) Rollback your drivers on graphic card or any other and try again. 3) Could be that you got an anti-virus program starting in the background, slowing it all down. 6) Sometimes disable programs running in the background and your recording software can cause some lag, think about that. 7) Make sure you isn't downloading / uploading anything, which can cause this issue. You're crashing sometimes if you're switching the stations, original radio. 1) Could be caused by some corrupt files, from an earlier mod or so, try to re-install GTA:SA/SAMP. 2) All of the songs needs to be in .mp3 format and put max 5 to 10 songs. You're experiencing a drop of FPS when you minimize SA:MP. I can't come up with anything else (someone are welcome to fill in though) then that the PC is working hard, something taking a lot of the CPU, processor's capicity or using a lot of RAM. 3) Shut down not needed software or remove recently installed ones if they're causing it. 4) Or perhaps your pc is working on updates/downloading something etc. 1) An external program might cause this issue, Skype for instance, if you're getting a call. When you're minimizing to desktop your screen turns black, or hard to see, in Win10. Many players are experiencing a problem with Windows 10 where using ALT-TAB makes the screen go black. And place it into your GTA San Andreas root folder. /q - Close the SA:MP client. /quit - Close the SA:MP client (same as above). /interior - Shows the current interior ID. /fpslimit [20-90] - Set the maximum FPS for your client. /pagesize [10-20] - Change the amount of lines in the chatbox. /timestamp - Show time stamping in the chatbox. /headmove - Toggle player's head movements. /dl - Handy developers command to show vehicle information. /mem - Shows the current amount of memory usage. /cmpstat - Exists but doesn't seems to do anything? more info please! /rcon - Built in admin system, remote control of the server. This command was added in 0.3x. When enabled (which it is by default), players will see a small hourglass icon next to the nametag of paused players. This includes minimising (alt-tab), the pause menu (ESC), lost connection (crash/timeout) and when taking screenshots that freeze the game for over 3 seconds. H can be for honking the horn and also as a passenger, you might need this for drive-by. More details do this: Press ESC > Options > Controller setup. Wouldn't suggest to use these, somehow bugged commands which causes a blackscreen or brings up the desktop toolbar and gta:sa rame but your cursor isn't visible but you can still play, at least for me, tested on Win10 and Win8, havent' found a fix for this, as there is for ALT tab issue in Win10 using SAMP. Last edited by P2H on Mon Jul 02, 2018 4:30 am, edited 35 times in total. Your work is appreciateable, This guide will help a lot of players. I know your purpose is only to help players so keep it up! - Hi, yup, it's a part of my personality, I like to help fellas out here and IRL too for that matter, that's why I work were I work I suppose and learn new stuff all the time. I used to be a newbie also on stuff, but I've learned a lot. Damn man, that's really helpful, thank you for your time! - Oh yea, took some time doing it, but yeah, now it's done , I hope it will help some fellas out there, Thank You! - Lovely fella , you are welcome! - Thanks fella, I hope and Think there's a use for this one.